Hackers are a constant thread for all Internet users, and it’s a well-known fact that no antivirus can make your computer threat-proof. The best solution is to use a complementary anti-hacking tool, compatible with the antivirus software you’re using, for an additional layer of protection. This article aims at listing the best anti-hacking software you can use in Windows 10, to make it harder if not impossible for hackers to access your computer. What is the best software to prevent hackers attacks on a Windows 10 laptop/PC? 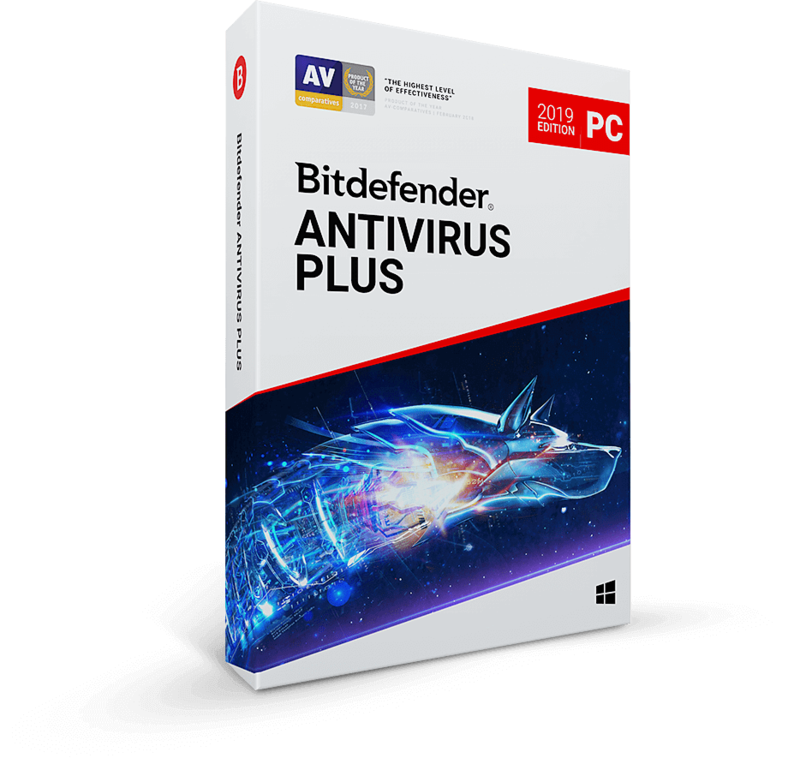 If you want to really put an anti-hacking lock on your PC, we strongly recommend you Bitdefender Antivirus 2019. You can buy it now with a discount. This security tool removes malware and adware that your standard antivirus has missed. 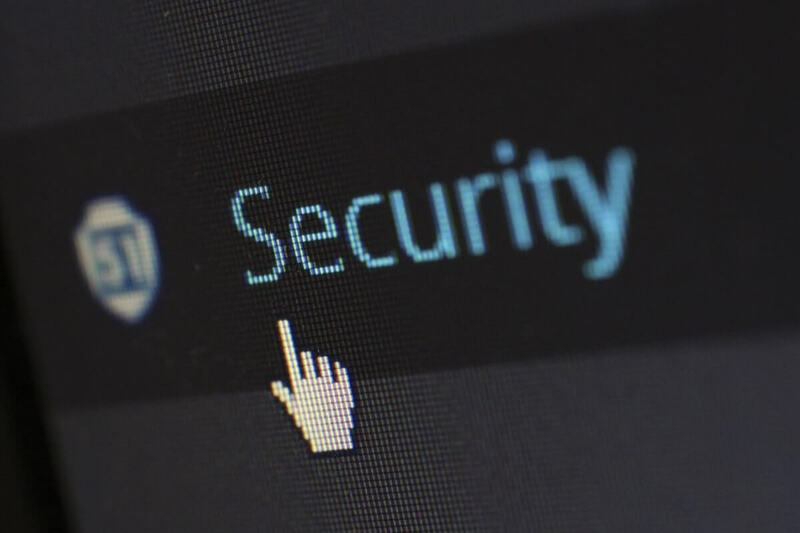 Thanks to its multi-layer structure, Reason Core Security provides real-time protection, preventing unwanted programs from being installed with software you download. Reason Core Security it’s quiet and unobtrusive, and won’t slow down your computer or consume unnecessary resources. Keeps your web browser safe from adware extensions. With cloud-based scans, you’re always protected against the most recent threats. 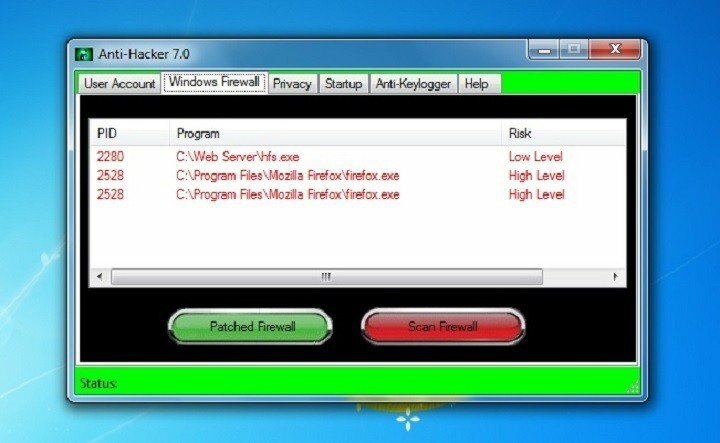 This tool detects and eliminates malware your antivirus program often misses. Also, it removes rootkits and repairs the files they damage. 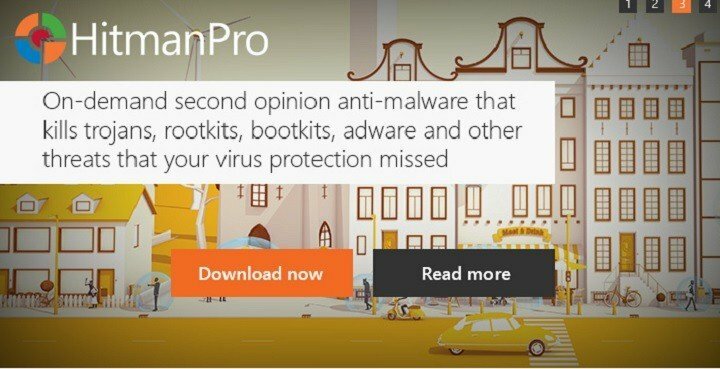 The Premium version of Anti-Malware offers a series of upgraded features, that will make your computer almost threat-proof. 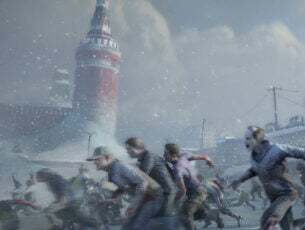 You can test out these feature for 14 days using the free version of the tool, but after this period, we recommend you purchase the premium version. 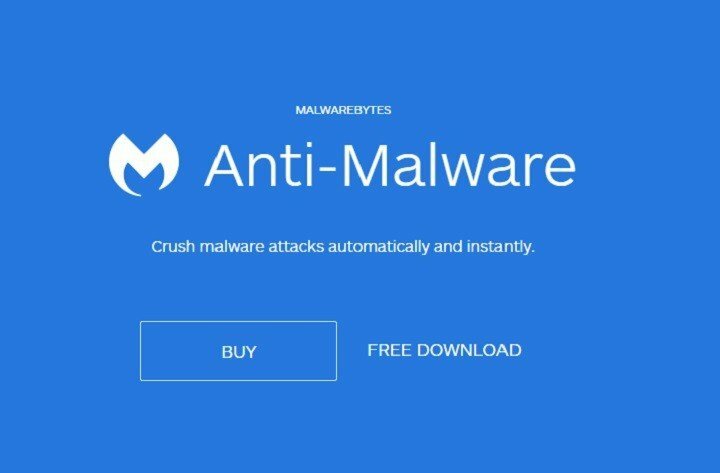 You can purchase Malwarebytes from the official webpage for $39.99 for a one-year subscription, or for $59.99 for a two-year subscription. Cyber attacks are increasing in sophistication and Microsoft wants Windows 10 to be a hard nut to crack for hackers. Windows Defender Advanced Threat Protection helps users to detect, investigate, and respond to advanced attacks on their systems. This tool is built on the existing Windows 10 security defenses, and provides a better post-breach layer of protection. 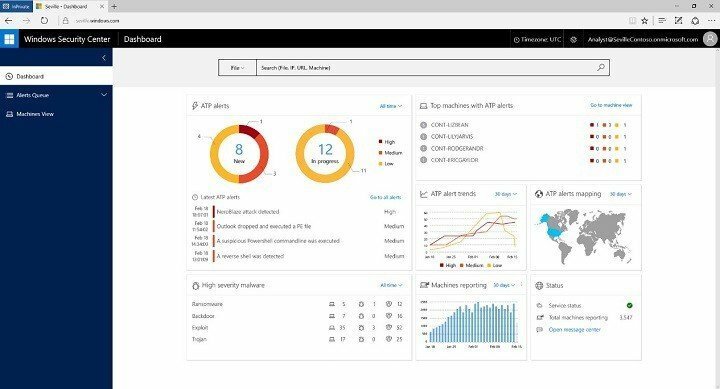 It detects the threats that have circumvented defenses, and offers response recommendations as well. If you’re running a Windows Pro or Enterprise version, go to Windows Defender’s portal, sign in and download the Advanced Threat Protection feature. This security feature anticipates the most common actions that hackers might use to access your computer, and protects it by diverting, terminating, blocking, and invalidating those actions. 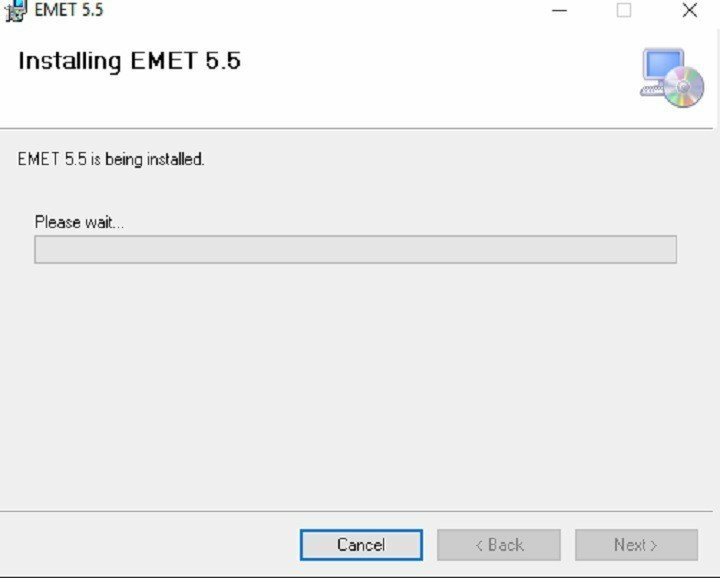 The main advantage is that EMET protects your computer even before new and undiscovered threats are formally addressed by security updates and antivirus programs. Also, EMET is compatible with most commonly used home and enterprise third-party applications, securing every file on your computer. You can download this security tool from Microsoft for free. This free tool is designed to make it extremely difficult for hackers to access your computer by patching many of the existing Windows security issues. Disables “Run as Administrator” vulnerabilities. Patches user account control for 3rd-party firewall software. You can download Anti-Hacker from Major Geeks. McAfee Security Scan Plus is a free diagnostic tool that protect your computer by actively checking for up-to-date antivirus, firewall, and web security software. It also scans for threats in any running programs. Silently installs and updates in the background and does not interrupt productivity. Detects malware, trojans, and potentially unwanted programs in running processes and modules loaded by these processes. It also scans browser history and cookies. 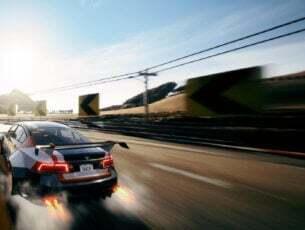 You can customize scan frequency. Scheduled scan provides three alert options to the user: Scan Now, Cancel, Remind me later. This security tool scans the hard disk and RAM for malicious software. Spybot can also repair the registry, takes care of winsock LSPs, browser hijackers, HTTP cookies, trackerware, keyloggers, tracks, trojans, spybots, and removes tracking cookies as well. If you’re already running Windows Defender, and you want to download the free edition of Spybot Search & Destroy, Windows will disable the tool because it contains antivirus components from the paid editions. The best solution is to disable Live Protection Spybot, enable Real-Time Protection in Windows Defender, and disable Windows Defender from time to time to scan your system using Spybot. You can download Spybot Search & Destroy from Safer-Networking (the link is available at the bottom of the page). HitmanPro is a tool that detects and removes elusive malware. It can work alongside existing antivirus programs without any conflicts. 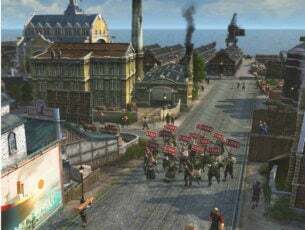 As its developer describes it, Hitman Pro is a free second opinion tool, which delivers confidence in a world where deemed safe computers are regularly compromised. HitmanPro is so successful because it doesn’t rely on virus signatures, instead it gathers actionable intelligence and examines the collected information to detect which files act and look like malware. The tool looks for unethical file behaviors because it is a lot harder for malware creators to radically change the manipulative behavior of their malware. HitmanPro is a signature-less on-demand malware scanner of just 10 MB and doesn’t require installation. It can be started directly from an USB Flash Drive, CD/DVD, or network attached storage. It’s fast, a typical malware scan with HitmanPro takes less than 5 minutes. It removes persistent threats from within the running operating system and replaces infected Windows resources with safe original versions. 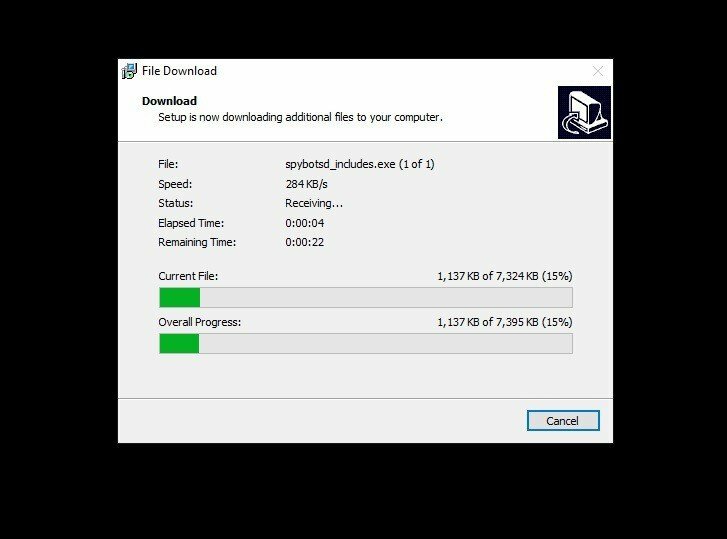 You can download HitmanPro 3 from Sophos. HitmanPro offers home users a free one-time license, valid for thirty days. You can purchase a one-year HitmanPro license for $22.34 or a three-year licence for $44.68. As its name suggests, this tool detects and removes Trojan threads: Trojan Horses, worms, adware, and spyware when standard antivirus fails to detect them or effectively eliminate them. 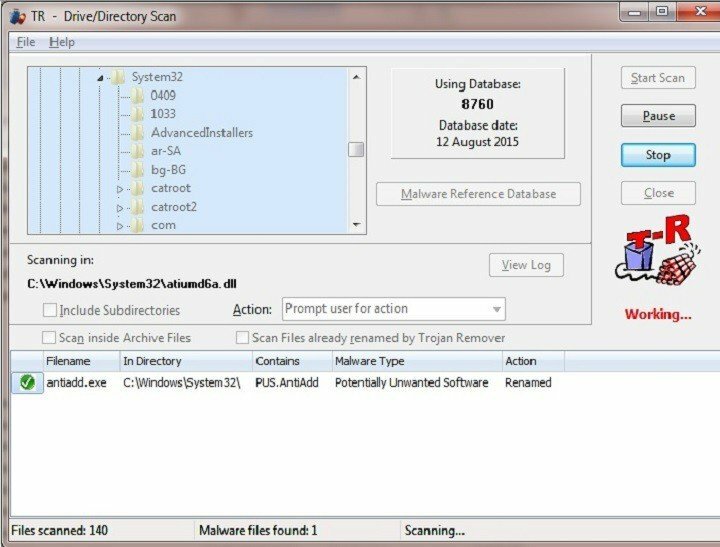 Trojan Remover also removes the additional system modifications the malware may have made. For each identified threat, Trojan Remover pops up an alert screen showing the file location and name, and offers to remove the program’s reference from the system files. When it finds malware that is memory-resident, the tool automatically re-starts your system and completely disables the threat. You can scan individual files and directories from within Windows Explorer. Trojan Remover is available for free for a 30-day period. The you can either purchase it for $24.95 or remove it. 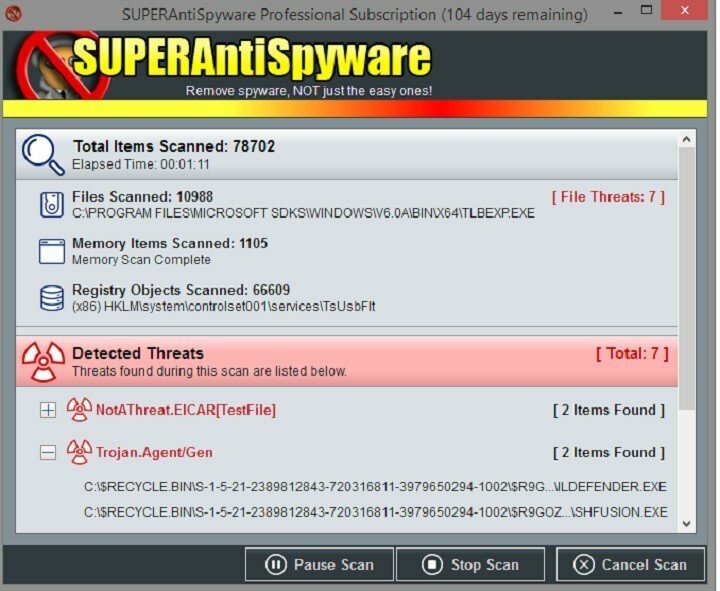 SUPERAntiSpyware is a powerfull anti-hacking tool able to remove spyware, adware, malware, Trojans, dialers, worms, keyloggers, hijackers and other threats. The repair system of this utility quickly enables the apps disabled by malware programs. Detailed logs are provided after each scan. You can either use the free version of SUPERAntiSpyware or purchase the Professional Edition for $29.95. Have you already used one of the security tools listed above? Tell us more about your experience in the comment section below. Editor’s Note: This post was originally published in August 2016 and has been since revamped and updated with new products so our users would have a wider range of alternatives.